When Corps Officer Lt. Antonio Romero asked the kids and teens at the South San Francisco Citadel Corps what they wanted more of on youth nights, the feedback was nearly unanimous: music. While the corps is in close proximity to many other agencies and nonprofits, few of them, if any, offered music programs. So, Romero approached John Opina, Golden State Divisional Music and Worship Arts Director, who agreed to teach the kids guitar, starting in September. So far, 10 kids—ranging from ages 8–16—have joined the program, but Romero said more are beginning to show interest. 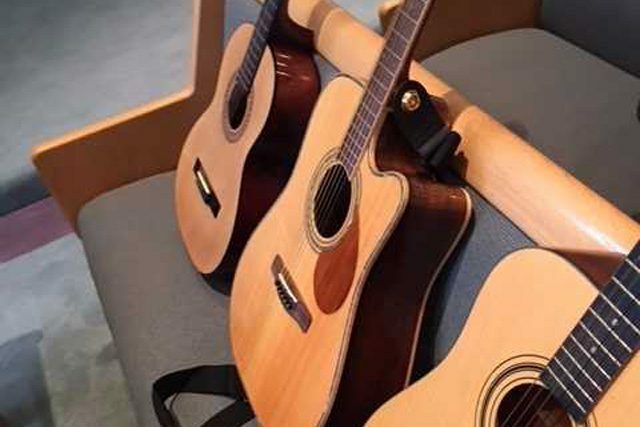 And thanks to donations from both the Mission and Ridgecrest Corps, they now have 12 acoustic guitars to work with. Although the guitar can be one of the more challenging instruments to learn due to the complex hand mechanics and dexterity required, Opina said the response from the kids has been encouraging. Nicole Liu, 16, who’s been involved with the corps for about eight years, said she was “really excited” when she first heard about the program. “By learning the guitar, I thought it would be a good tool for me to use in the future in order to lead other people in worship,” she said. Xavier Patton, 10, said he’s loving the program so much he brought a friend along. Moving forward, Romero said they are looking for an instructor to start piano lessons at the corps as well. He said he eventually wants to have youth music lessons in brass instruments, drums and other percussions instruments at the corps. For Opina, he hopes to cultivate a sense of lifelong learning with these students—whether or not that’s with the guitar.